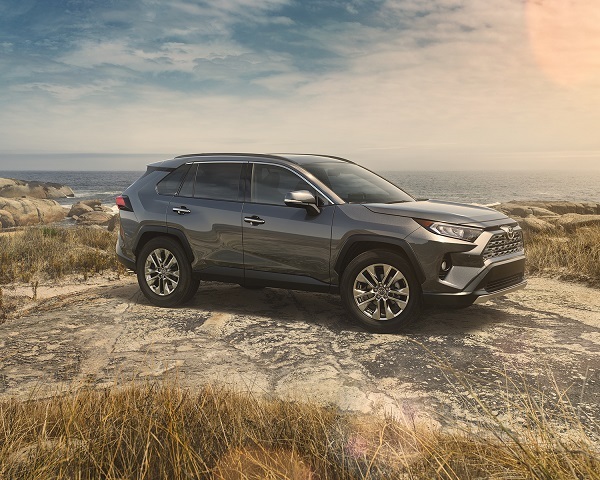 The 2019 Toyota RAV4 Is Here At Collingwood Toyota! The all new RAV4 features are plentiful. With an expanded line-up there are now nine unique models, including the ultra-sporty RAV4 XSE Hybrid. Enjoy premium technology with standard Toyota Safety Sense 2.0 and Entune 3.0 which is now compatible with Apple CarPlay! The All-terrain capability is outstanding with available Multi-Terrain Select and Dynamic Torque Vectoring All-Wheel Drive. Powerful and efficient, you can choose a potent gas or powerful and efficient hybrid-electric powertrain. This all new, robust design and unparalleled driving experience is a product of Toyota New Global Architecture platform. The 2019 RAV4 is the first generation of RAV built on TNGA. Just as athletes build their core strength to maximize their performance, Toyota has worked on improving the car’s core components. The five domains of TNGA are driving quality, comfort, user-friendliness, styling for that sought-after appeal and security. 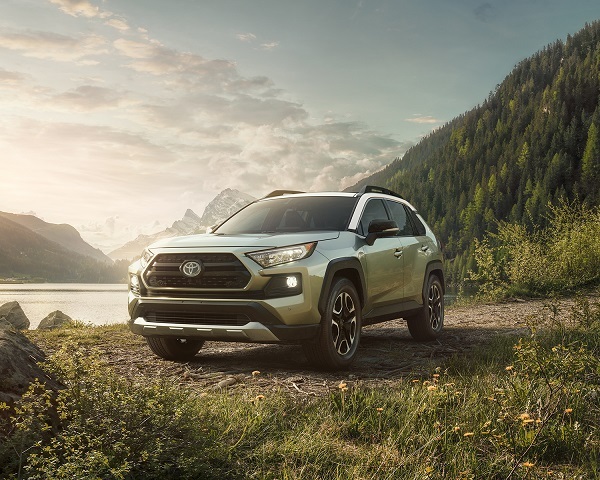 Fuel efficiency or fun – the 2019 Toyota RAV4 won’t force you to choose! The standard 2.5L inline-four engine puts out 203 horsepower and 184 lb-ft of torque – more than enough for daily duty and more than previous generations due to the evolution in TNGA. Plus this compact SUV has amazing fuel efficiency, letting you skip the pumps! And if fuel economy is your primary concern, the Hybrid models adds an electric motor to help boost efficiency. 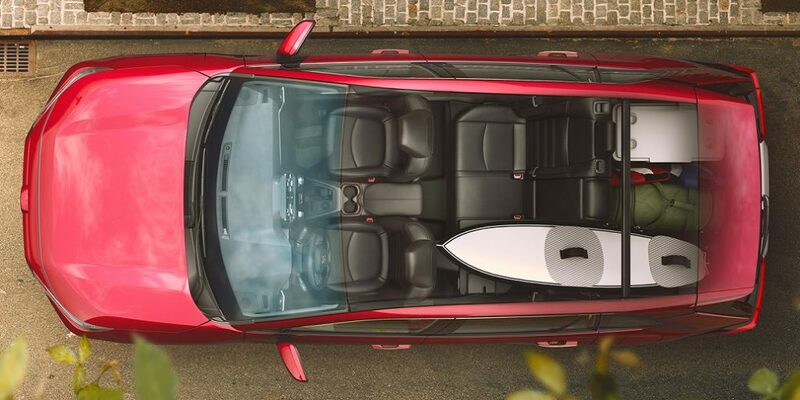 When you take a seat in the 2019 RAV4, you’ll instantly notice the quality construction usually reserved for much more expensive crossover SUVs. With premium soft touch materials and contrasting stitching – the RAV4 is the perfect place to be. Plus for 2019, there has been extra attention paid to create a spacious cabin interior for comfort that makes you want to keep on driving. With the comfort, the wide-open scenery before you, the agreeable note of the engine you will have a unique experience for all the senses. 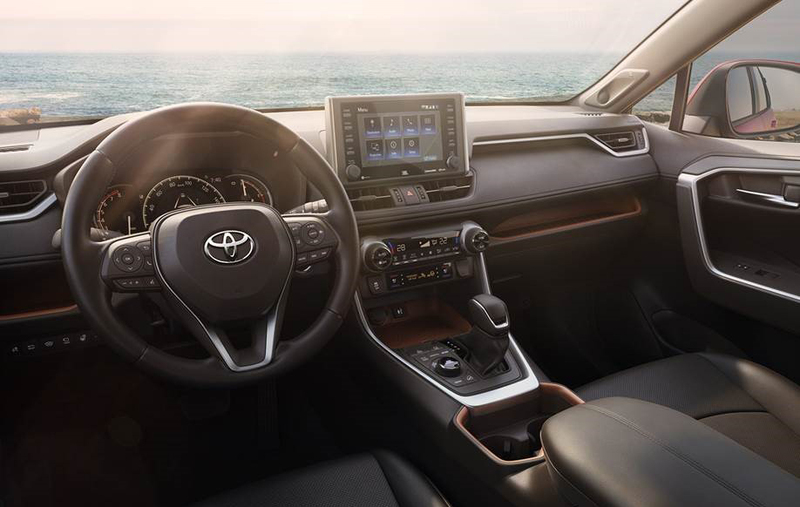 There are many reasons to love your 2019 Toyota RAV4, but its impeccable commitment to safety is what will make you truly trust your RAV4. Every new RAV4 comes with Toyota Safety Sense (TSS) 2.0. TSS 2.0 includes a Pre-Collision System with Pedestrian Detection and Bicycle Detection, Auto High Beams, Full-Speed Range Dynamic Radar Cruise Control, Lane Departure Alert with Steering Assist and Road Edge Detection and Lane Tracing Assist. 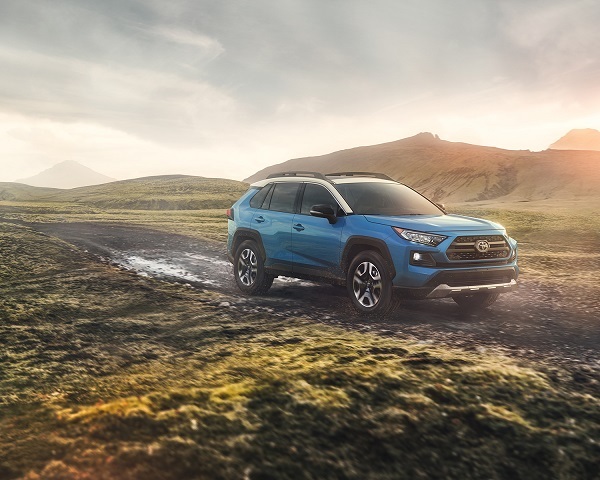 In addition to the innovative features of TSS 2.0, every RAV4 has Toyota’s STAR Safety System, which includes vehicle stability control, traction control, anti-lock brakes, brake assist, electronic brakeforce distribution, and smart stop technology. All this, along with 8 standard airbags and a strong unibody structure, have been equipped in the 2019 Toyota RAV4 for your safety. For the parts and accessories you need to keep your RAV4 (or any other Toyota model) running strong, our Parts Department is always happy to help. Our friendly parts advisors can help you find what you need, plus our Service Department can get them installed fast and frugally. Just fill out our online Service Appointment form, and we’ll contact you ASAP to get your Toyota car, truck, van, or SUV to our Collingwood, ON repair centre at your nearest convenience.